Christmas time in New York is always a fun time. The animated Christmas windows, decorations, and the smell of roasted peanuts on the streets is always a treat. Macy's after the Thanksgiving Day Parade becomes a human sea of eager shoppers looking for the quick sales. Another Macy's tradition is on the top floor called Santa Land. If you've never been, its a treat. 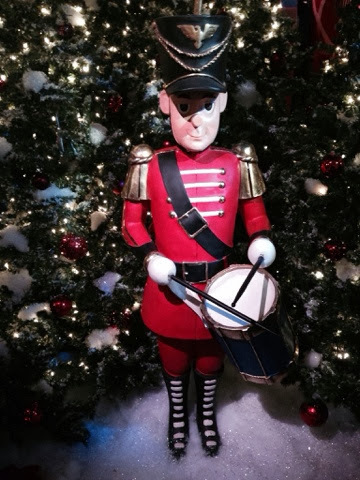 You meander through a constructed area with Christmas trees, trains, and elves. At the end of the path you can take a picture with Santa Claus. My wife used to do this when she was younger. This time the excursion to Santa Land turned out to be a lot different. We received word as we were in line that there was a African American Santa or for our reading, a Black Santa. There was a secret code that all the elves knew to get a picture with him. We had to ask for 'the special'. We had to wait a little longer for 'our' Santa to prepare. We're not sure why, but have assumptions. As the elves ushered us in, we saw Santa patiently waiting for us. The elf took pictures of us as Santa asked what we wanted for Christmas. We got our family picture and walked some more through the largest department store in the world. SKKKRRRRRRRR!!!! Question: Why were other families able to take pictures with the other Santas while we had to wait? Was Black Santa taking pics with other people? 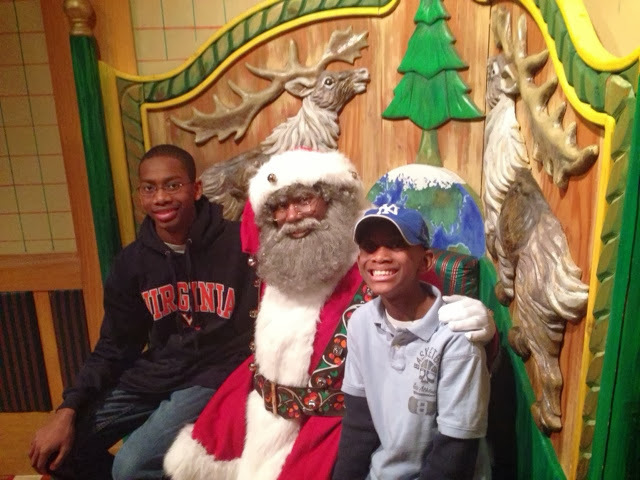 Why were the elves scouring around to accommodate and help us take a picture with Black Santa? All of these questions flowed through our heads as we headed back home. We were comfortable taking a picture with Black Santa. In fact, it was comforting to know that Macy's made arrangements like this. My boys are of age that they don't believe in Santa at all. My oldest even mentioned that it would have been okay to take a picture with a regular (Caucasian) Santa. It was not a big deal to them or me either way. The question came down to these: were African Americans alerted to Black Santa? If so, did they have a preference? Another question (you ready? ): were others alerted that there was a Black Santa? If so, which did they prefer? Please understand that I am in no way trying to start conflict. We have great relationships with all races. We were just curious as how this situation in Macy's would turn out. If Black Santa was one of the 'regulars' taking pictures, did other families have access to him? And would they have been okay if their picture had to be with an African American? I am very happy that my sons have true friendships with people of all races. They have an awareness of diversity that will take them a long way. Yet, I know we all have our prejudices. You do. I do. We all do. In addition, Santa has always been Caucasian, which is a norm in our society. So is Barbie, and oftentimes, even pictures of Jesus. Arguments can be passed around all over this conversation.